MINI was born to turn chore rides into joy rides. It was born with added performance over added cupholders. It was designed for more than sitting in traffic. Or better yet, the garage. 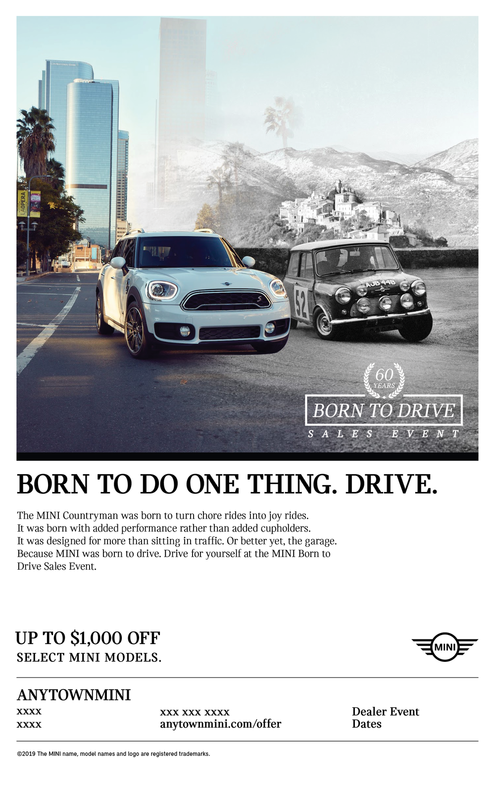 Because MINI was born to drive.